I have been cycling for less than a year, and in that short time, have taken a real passion to getting on the saddle. I had been struggling with a gluteal niggle from September (2015), which has now finally begun to resolve(!). This gave me the opportunity (over this time of less running) to focus my attention on riding. As many cyclists will agree, this can be an expensive addiction. 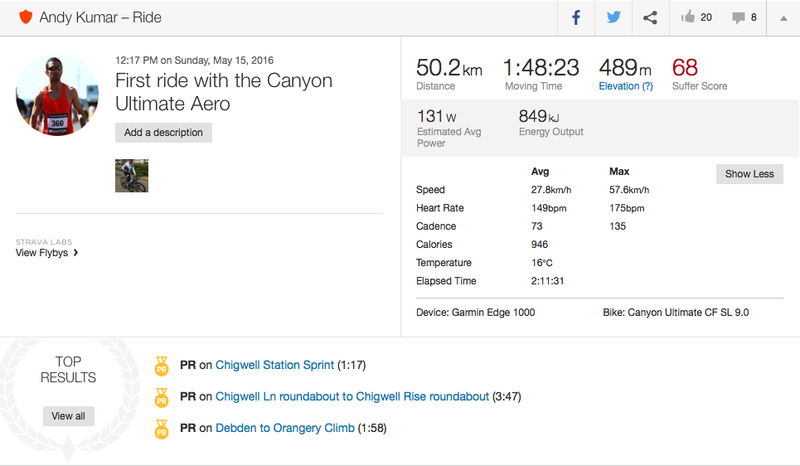 I took delivery of my Canyon Endurace a couple of months ago, and was very impressed. Canyon truly do make some exceptional bikes. 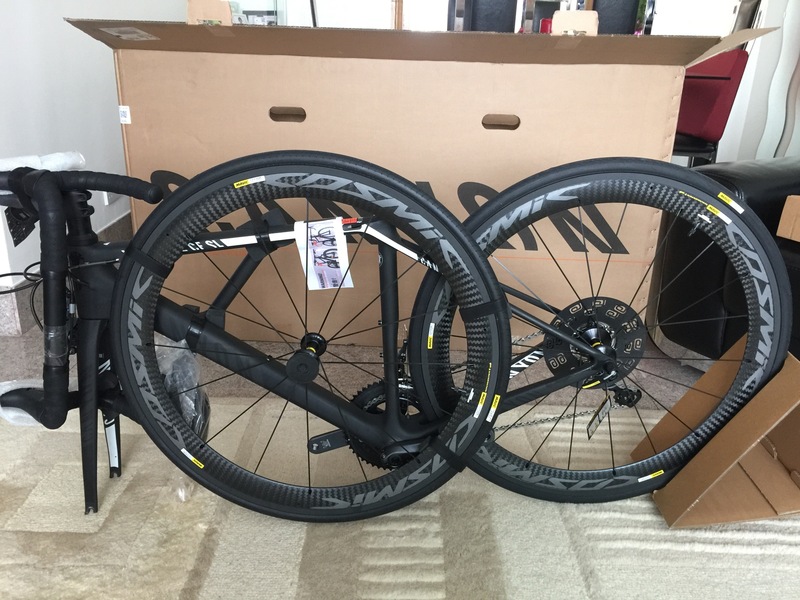 I have now just received the Canyon Ultimate CF SL 9.0 Aero. Okay, so I was in the market for a set of deep rim carbon clinchers. I am doing the London Duathlon in September again, and wanted some solid wheels which could help me smash out some PBs on the bike. After the usual research, the wheel-set that really stood out were the Mavic Cosmic Pro Carbone Exalhith. These retail for £1050 on Wiggle, after 12% platinum discount. I then saw the Ultimate CF SL 9.0 Aero, which had these wheels, as well as a full Ultegra groupset, Fizik Antares E5 saddle and Canyon V13 seat-post, all packaged with a CF Ultimate frame-set. The bike also comes (almost!) fully assembled with a bunch of Canyon goodies/accessories, so it made more sense to get a ready-made bike, whist forking out a little more, than to get the wheel-set alone or build my own bike. A breakdown of this bike will show how cost-effective it is, using the cheapest available prices for each component. The bike cost me just shy of £2400 (including shipping), so a saving of ~£350, had I purchased all components separately and decided to build the bike myself. 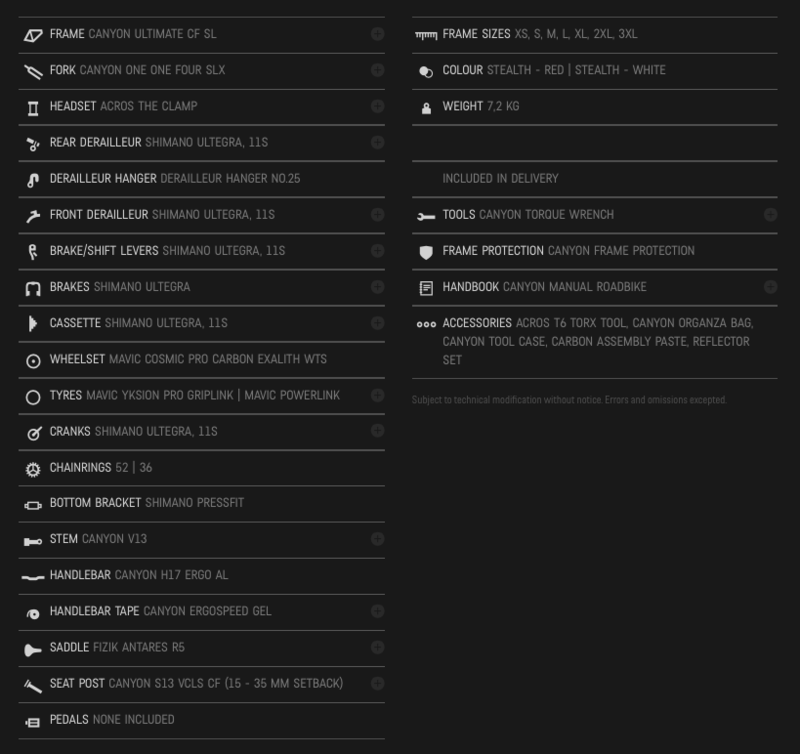 Before continuing with this blog post, here are the specifications of the bike, as shown on the Canyon website. 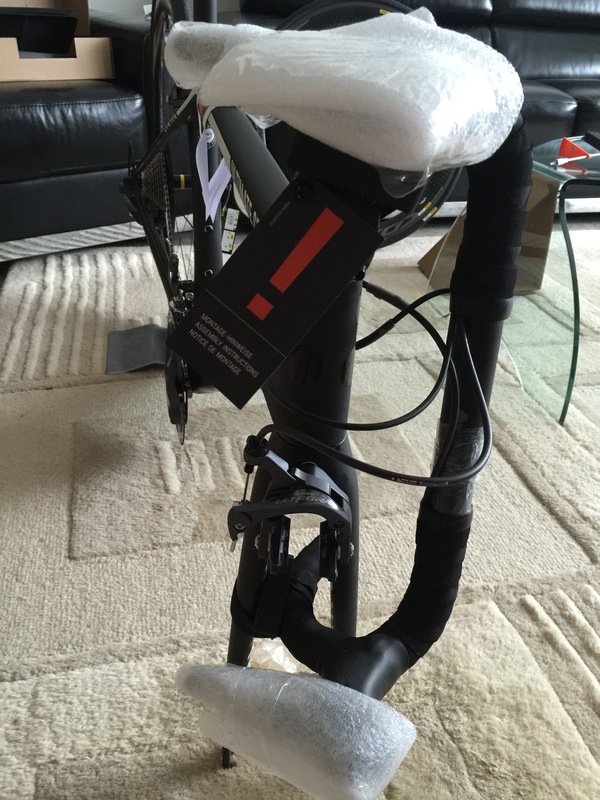 From ordering to delivery, the bike took 13 days to arrive. This was for an “in stock” bike, so delivery times are still a little slow by Canyon. They stated that this was due to the brakes orientation that had to be changed for UK standards (right shifter controls front brake, whereas in Europe it controls the rear). 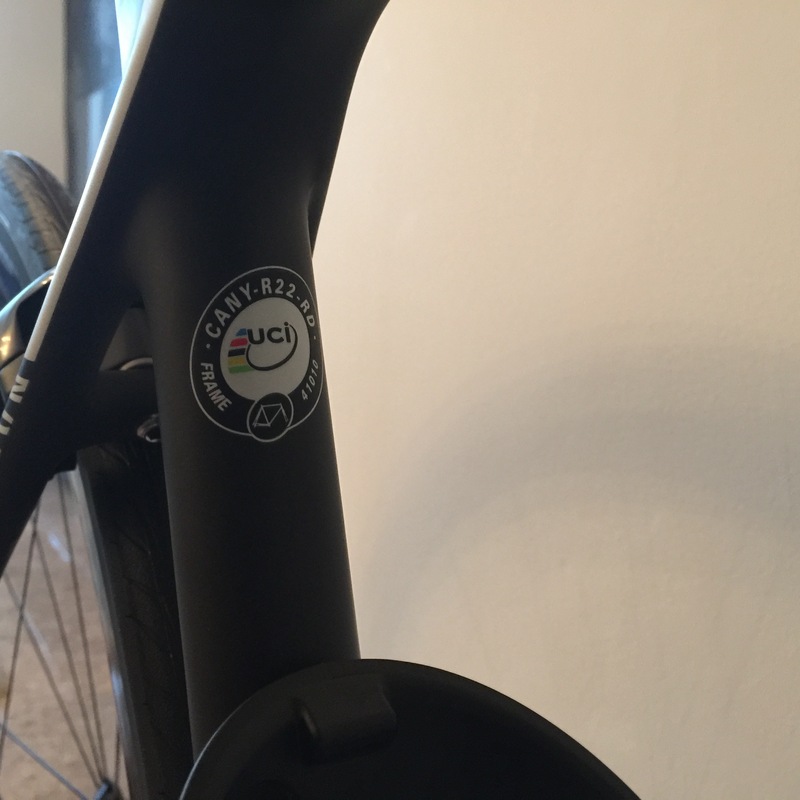 Apparently, Canyon make all the bikes to Europe standards, and then change them over to UK orientation after they have been made. At least this is what a Canyon representative told me. 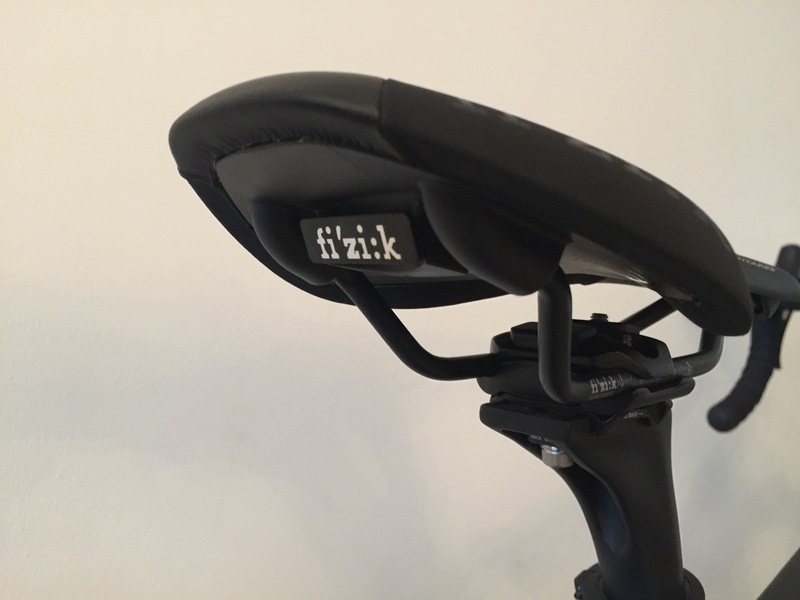 I don’t see the logic behind this, but then again, I am not the CEO of a major bicycle company! But I digress. 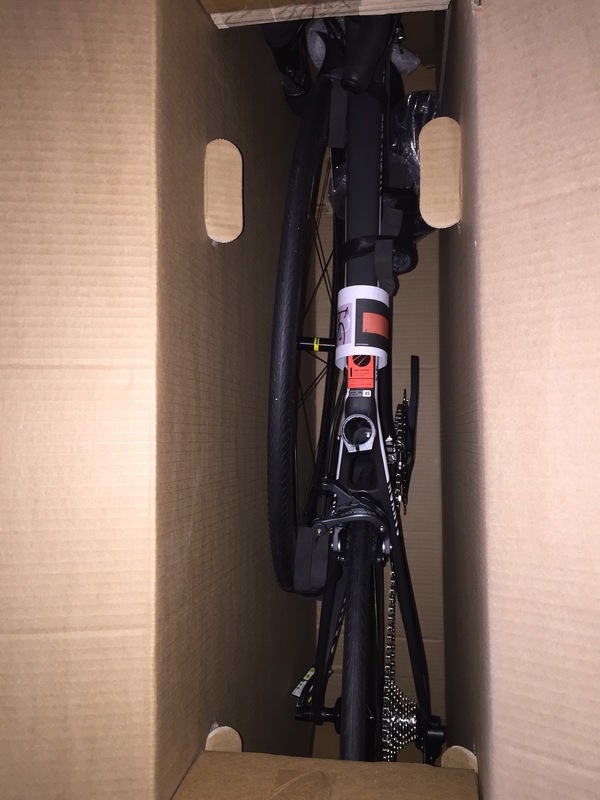 The bike shipped in Canyon’s ‘bike guard’ box again, and was very well packed, arriving intact. 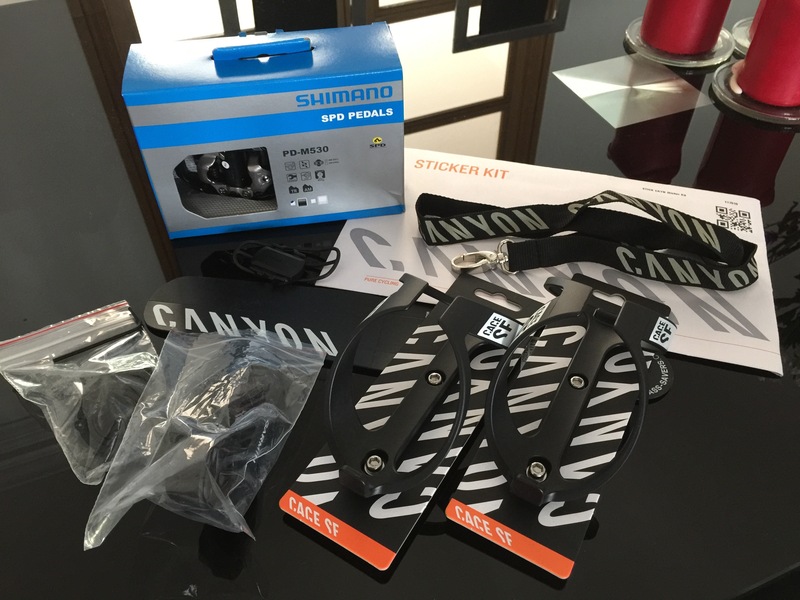 A point I’d like to mention here is that Canyon charge a mandatory £15 for the bike-guard box, and £33 for delivery. I do feel that shipping should be free after spending so much money on a bike, but one may argue the the bikes are already great value for money, and free shipping may drive the price of the bike up. Taking the bike out from the box for the first time and assembling it is always a magical experience, and I again recorded this unboxing. Once fully assembled, the Ultimate looks amazing! More so than the pictures. The geometry is semi-aggressive, sitting between the relaxed Endurance and aggressive Aeroad. I personally don’t feel the need for an all out racing bike like the Aeroad (yet! ), and am confident that the Ultimate will be sufficient for my current Duathlon needs and sportives where I would like to test my speed. This model has mechanical shifting, and I was looking forward to note comparisons to the 105 5800 groups I have on my Orbea winter/commuting bike. As with the Endurace, the finish on the bike is top-notch, and you know that you have just purchased a very premium product. I have decided to keep my MTB SPD pedals on this bike as well, to ensure consistency with my other bikes and shoes. I also much prefer the double-sided clip-in, and ability to walk with the recessed cleat. As with my Endurace, I will be integrating the Garmin Varia set-up on this bike, too. 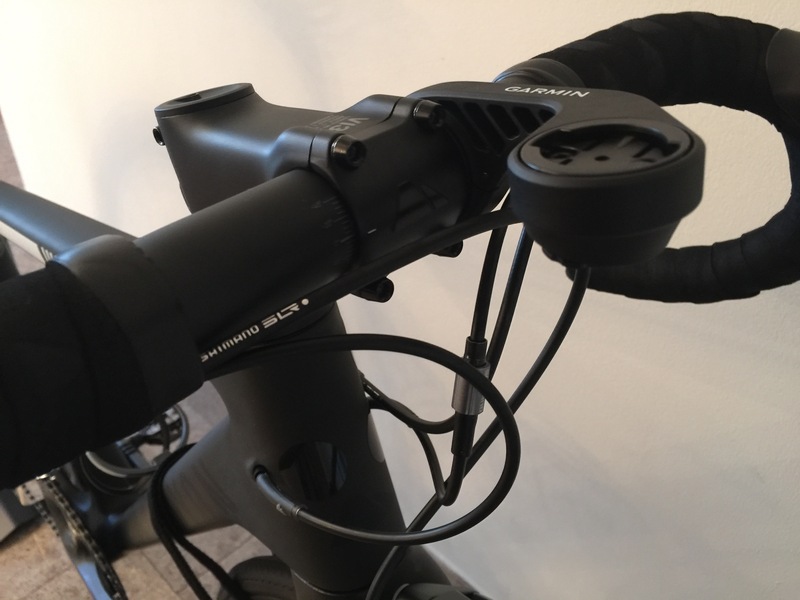 As a result, I installed a 3/4 rear mount for the Varia vision on the rear, as well as a Garmin double mount for the Varia headlight and Edge 1000 on the front. I went out for my first ride on the Ultimate last weekend. From the get-go, the ride was smooth. The Ultimate was fast, responsive with gear changes, felt stiff and overall made for a very smooth ride. The Exalhith wheels had excellent roll, and I definitely noticed the enhanced braking power of the Exhalith breaking rims, which made a screeching noise when coming to a halt (which actually sounded pretty high-tech and awesome!). However, I am aware that this is a temporary breaking in phase of the rims. This is my first bike without a compact chain-set. Both my Orbea (105 5800) and Canyon Endurace (Ultegra Di2) have a compact chain-set (50/34) with a 11-32T cassette. This Ultimate contains a standard chain-set (52/34) and 11-28T cassette. I was aware of this before I got the bike, but noticed the difference when I reached some minor inclines, and was left wondering for a moment why I seemed to be slower than normal. I normally stay in the largest chainring on the front, and like to power my way up hills with low cadence/high power, as opposed to spinning with a higher cadence. I may need to review my riding style with the Ultimate. I also missed the smooth shifting of the Di2 at times, although the mechanical Ultegra was very smooth, and definitely a step above the 11-speed 105 5800 group-set that I have on my Orbea. The Ultimate CF SL 9.0 Aero has definitely met my expectations as a fast and reliable bike. There is no denying that the main focus point of this particular bike is the Mavic Exalith wheel-set, and it is highly likely that in the future I may put these wheels on a dedicated racing frame with a more aggressive geometry, and have the option to add some aluminium rim wheels to the Ultimate and use this as a sportive bike. However, for now I am content with using the Ultimate as my go-to racing/duathlon bike. I would highly recommend this bike if you are already looking for some deep rim carbon wheels, and also need (want?) a very nice Canyon bike. great articles thanks for posting. 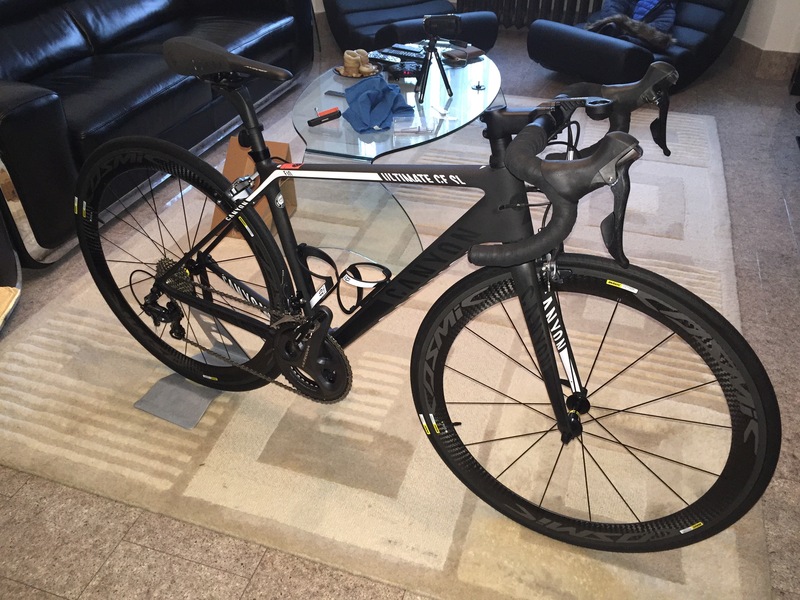 I’m interested in your views on how this bike to compares to the Endurace? Do the two Canyons complement each other? Thanks! The Endurace and Ultimate models I own are two very different kinds of bikes. Both feel similar in geometry for me. But that is where the similarities end. The Endurace has superior shifting as it is Di2; very smooth gear changes. The front chain-ring has 52/34t, and rear cassette has an 11-28t cassette, compared to the compact chain-set of the Endurace. This means that the Endurace feels a lot better for climbing and relaxed rides, whereas the Ultimate is much more suited for flats/racing where you can really push out the speed. This is also completed by the Cosmic Exalhith aero wheels. So I’ll be using the Endurace for sportives and longer, more comfortable rides that may involve climbs, and use the Ultimate for faster rides and trying on the track. I’ve just ordered one! Down to £2100 in the sale – amazing value really. Can’t wait for it to arrive – thanks for the post and the photos, there isn’t much out there but your blog definitely convinced me. Just ordered £2099 what a bargain!!!! Fwarrrr those wheels!!! Good review!! I’m looking at the Ultimate CF 9.0 SL to go with a slightly lighter bike. Now that you don’t have Di2 on it, is it something that annoys as in ‘need-to-have’ vs. ‘nice-to-have’? How tall are you and what size did you get? I’m curious because the bike looks small and the handlebars at size S are 40cm wide. That seems fairly narrow (but might help the aerodynamics). Have you had any ‘issues’ with the handlebars? Now that you have tried it out a little more, how do you find the geometry for duathlon? I’m just a little weary that it is too comfortable for racing. Thanks for your kind words. The Ultimate CF 9.0 is very light, pretty much the same as my Endurace, both around 7kg. In all honesty, I love the smooth shifting of the Di2, but once I get riding, mechanical is also fine. The mechanical ultegara is still a solid groupset, and I still think that Di2 is more ‘nice-to-have’ than a necessity. I am 5’4″ and went for the XS. I’ve had no problems with the handlebars. As with any bike, it does take couple of rides to get a feel of things, but am fine after that. Geometry-wise, I find it very comparable with the Endurace. The Ultimate SL range seems to be only very slightly more aggressive than the Endurace. But looking at pictures, the Ultimate CF SLX looks much more aggressive (but that is just what I can see from the pictures). I think that the standard front chainring,11-28t cassette and aero wheels make this a little more geared to racing. Hope this helps! I’d only go for this particular model if you have a strong desire for the Exalith wheels. I’ve also come to the same conclusion as you regarding SL and SLX. The latter is more aggressive (reach is longer and stack the same) and that’s what I’m looking for without going for the aero bike. Nice! Would be great to hear your thoughts and see some pictures once you finally get it 🙂 Another thing I should have added about Di2 is the ability to view your gear selection on your Garmin is a nice touch as well. Where have you bought so cheap the bicycle? I’m trying to decide between a Ultimate 9.0 SL (not SLX) Di2 and an the same Endurace model you have. Like the Ultimate, but how are you doing climbing wise on the your Ultimate, given the semi-compact crankset (52/36) and 28T cassette? I’m coming from a compact with a 28T cassette and curious about how the 2 bikes compare now that you have had them for a while. I definitely find the Endurace (compact chainset 50/32, cassette 32T) much more comfortable for climbing. The Ultimate is great for flats, though. The Endurace I have has increased in price. The only difference is a change in the wheel set. But I’d still get the Endurace if climbing is a priority. Will you be able to comment which shifting is faster, Mechanical or Di2 shifting? I’m presently contemplating if i should go for Di2 as i’m using a mechanical Ultegra. Definitely quicker and smoother with Di2. 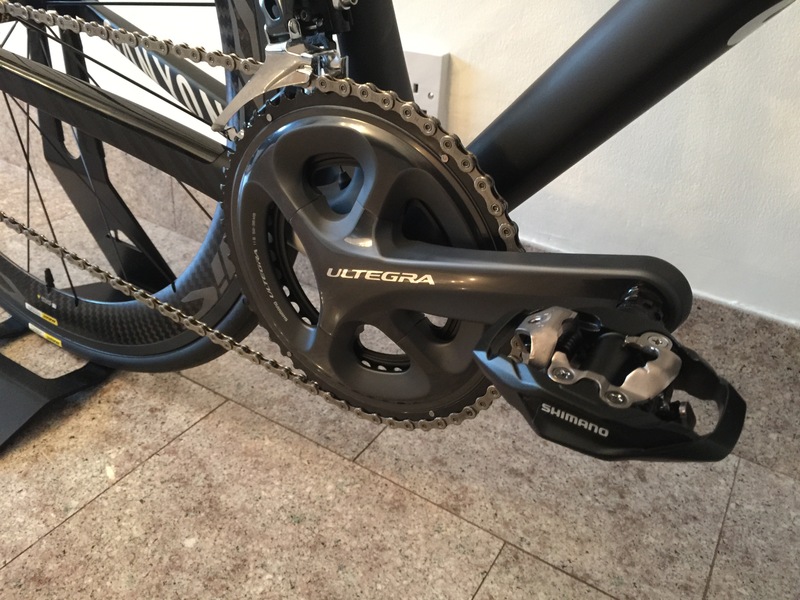 Mechanical ultegra is very decent, but if you can, I would definitely go for Di2. You will notice a difference.